Speaking Stata Graphics is ideal for researchers who want to produce effective, publication-quality graphs. 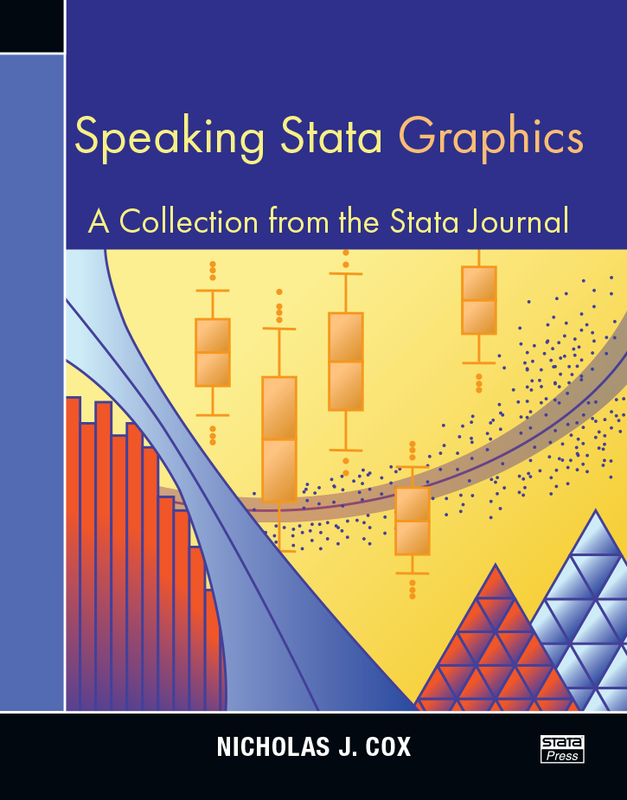 A compilation of articles from the popular “Speaking Stata” column by Nicholas J. Cox, this book provides valuable insights about Stata's built-in and community-contributed statistical-graphics commands. Nicholas Cox is a statistically minded geographer at the University of Durham. He contributes talks, postings, FAQs, and programs to the Stata user community. He has also co-authored sixteen commands in official Stata. He was an author of several inserts in the Stata Technical Bulletin and is an Editor of the Stata Journal.